The Qualcomm Institute's gallery@calit2 at UC San Diego will play host to a talk by best-selling science-fiction author and activist Cory Doctorow, who was a writer-in-residence in 2017 in the Clarion Science Fiction and Fantasy Writers' Workshop, now hosted by the Atkinson Hall-based Arthur C. Clarke Center for Human Imagination. The event will be moderated by Visual Arts professor Jordan Crandall, who chairs the gallery's 2017-2018 faculty committee. In his talk on "Scarcity, Abundance, and the Finite Planet: Nothing Exceeds Like Excess," Doctorow will discuss the economics, material science, psychology and politics of scarcity and abundance as described in his novels WALKAWAY, MAKERS and DOWN AND OUT IN THE MAGIC KINGDOM, a 15-year literature of technology, fabrication, and fairness. Among the questions he'll pose: How can everyone in the world live like an American when we need six planets' worth of materials to realize that dream? Can fully automated luxury communism get us there, or will our futures be miserable austerity-ecology hairshirts where we all make do with less? Following his talk and an audience Q&A with the author, attendees are invited to stay for a public reception in Atkinson Hall. 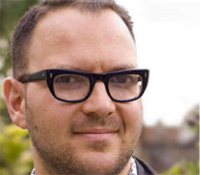 Cory Doctorow is a novelist, essayist, activist, short-story writer, blogger and journalist who contributes to many magazines, websites and newspapers. He is co-editor of the popular tech website Boing Boing (boingboing.net), and he works for the Electronic Frontier Foundation, a non-profit civil liberties group that defends freedom in technology law, policy, standards and treaties. Among the other hats he wears, Doctorow is a research affiliate of the MIT Media Lab, a visiting professor of computer science at Open University, and a co-founder of the UK Open Rights Group. He co-founded the open-source, peer-to-peer software company OpenCola, and serves on the boards and advisory boards of the Participatory Culture Foundation, the Clarion Foundation, the Open Technology Fund and the Metabrainz Foundation. In 2007, the Toronto-born writer served as the Fulbright Chair at the Annenberg Center for Public Diplomacy at the University of Southern California in Los Angeles, where he now lives. Doctorow's novels have been translated into dozens of languages and are published by Tor Books, Head of Zeus (UK), Titan Books (UK) and HarperCollins (UK). He has won the Locus, Prometheus, Copper Cylinder, White Pine and Sunburst Awards, and has been nominated for the Hugo, Nebula and British Science Fiction Awards. 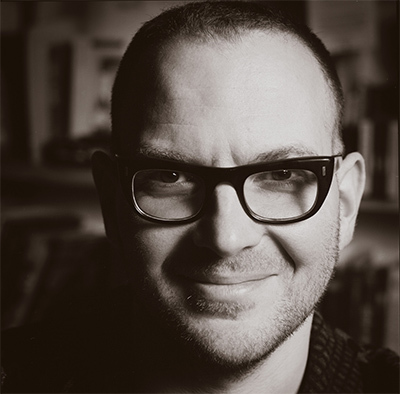 Among his recent books, Doctorow published WALKAWAY in 2017, a novel for adults. In 2014, he created a young adult graphic novel; IN REAL LIFE, with Jen Wang, as well as a business book about creativity on the Internet, INFORMATION DOESN’T WANT TO BE FREE. Other popular novels have included RAPTURE OF THE NERDS and MAKERS, and the New York Times bestselling young-adult novels LITTLE BROTHER and its sequel HOMELAND, as well as PIRATE CINEMA.